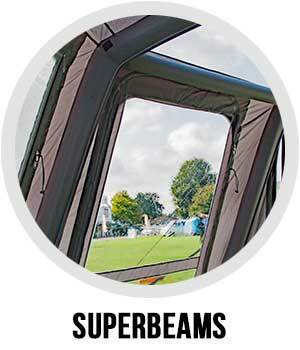 Vango caravan air awnings lead the way in innovation, quality and performance. Designed to be quick to erect and easy to attach to caravans, air awnings give additional space for relaxing, dining and, in some models, sleeping. The attention to detail given throughout these awnings is testament to the passion of the design team. Vango AirAwnings® are packed full of great features to make every caravan holiday, the best one yet! Here's a closer look at some of the features that are incorporated in the Vango AirAwnings® collection (please check awnings for full feature information as features can vary by model). 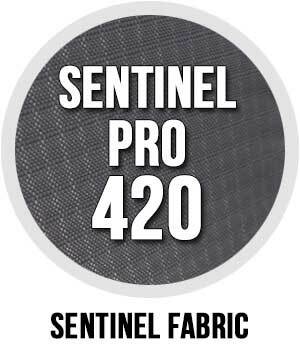 This high quality, longer lasting fabric has both great feel and durability characteristics. 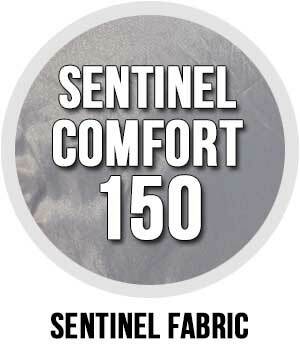 Sentinel Comfort uses a 150 denier polyester yarn that is woven to produce a material that is very durable. The PU coating ensures that it is highly waterproof. 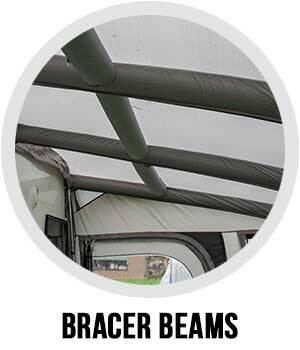 Vango SuperBeams™ are larger diameter beams which add strength and additional stability to Vango AirBeam® caravan air awnings. 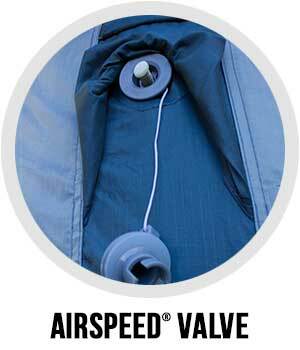 AirSpeed® Valve system and easy access positioning - designed by Vango to inflate the caravan Air Awning AirBeams® with even less effort! 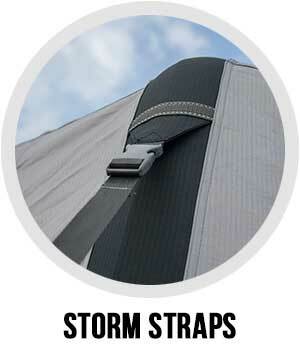 Patented Vango TBS® II, Tension Band System, ensures the awning perform in adverse conditions, especially in strong, changeable winds. When tensioned, the bands brace the beams at 3 points, creating a strong shape that prevents sideways movement. Simply roll away into the pockets when not in use. 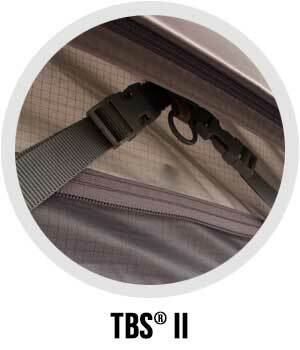 Provides secure guying at the front and rear of the awning, allowing the awning to maintain a stable structure in windy conditions. 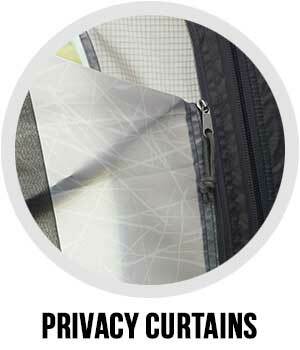 Simple and quick to use, zipped curtains allow for varying levels of opening. They fit to the flysheet with no gaps, and simply roll down into a pocket. 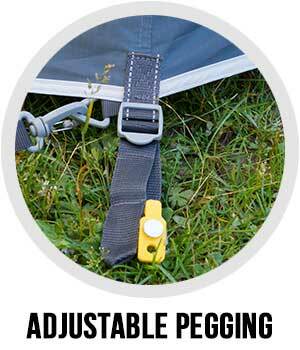 Adjust your awning to enable a perfect pitch on uneven terrain.